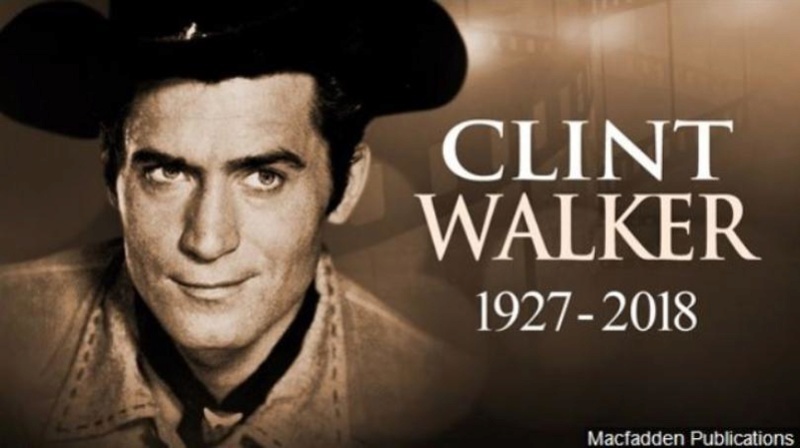 Clint Walker, who starred as a gentle giant cowboy on the ABC Western "Cheyenne," died Monday, TMZ reports. He was 90. Walker was reportedly surrounded by his wife and daughter at the time of his death, and they believe he succumbed to a heart-related issue. The 6'6" Hollywood star was born Norman Walker in Illinois in 1927, and launched his acting career after a brief stint in the Merchant Marines, according to his website. His big break came in 1956 after famed director Cecil B. DeMille personally cast Walker in his film "The Ten Commandments," which opened the door for roles in films like "Requiem to Massacre," "Send Me No Flowers" with Rock Hudson and Doris Day, and a starring role in the 1965 war drama "None But the Brave," Frank Sinatra's lone directing credit. Walker's signature role, though, was Cheyenne Bodie, the nomadic post-Civil War cowboy he played for more than 100 episodes over seven seasons. "Cheyenne" ran from 1955 to 1962, and earned one Emmy nomination in 1957. Post-cowboy, Walker appeared in TV shows like "Kodiak," "The Love Boat" and Lucille Ball's "The Lucy Show." His final role was a voice part in the 1998 film "Small Soldiers." Walker, who was married three times and had one daughter, famously survived a freak skiing accident in 1971, in which he was declared dead after a crash led to a ski pole piercing his heart. Born: 5/30/1927, Hartford, Illinois, U.S.A.
Died: 5/22/2018, Grass Valley, California, U.S.A.